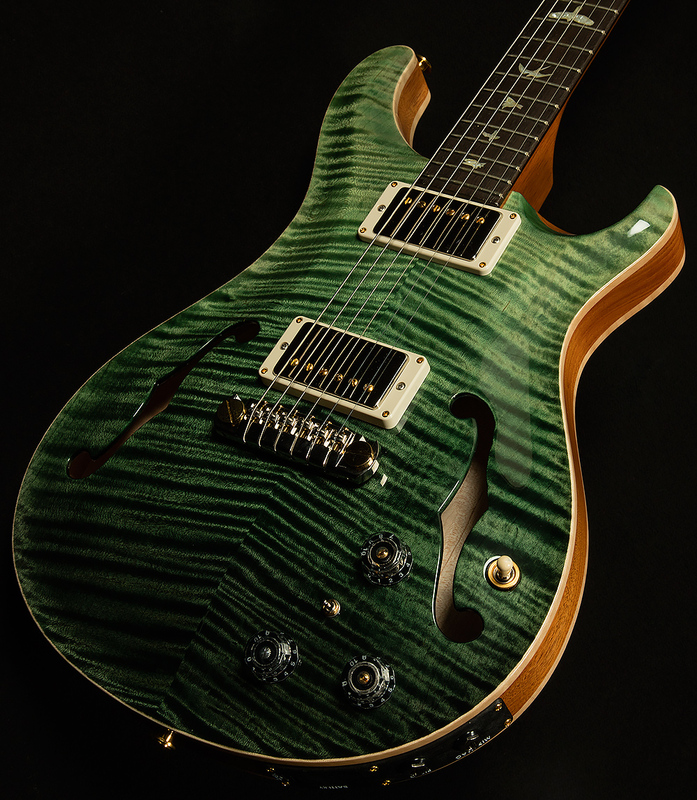 Wildwoodians, we are proud to present you with our latest morsel of Wood Library goodness: a Trampas Green Fade Hollowbody II with a genuine Brazilian rosewood fingerboard! 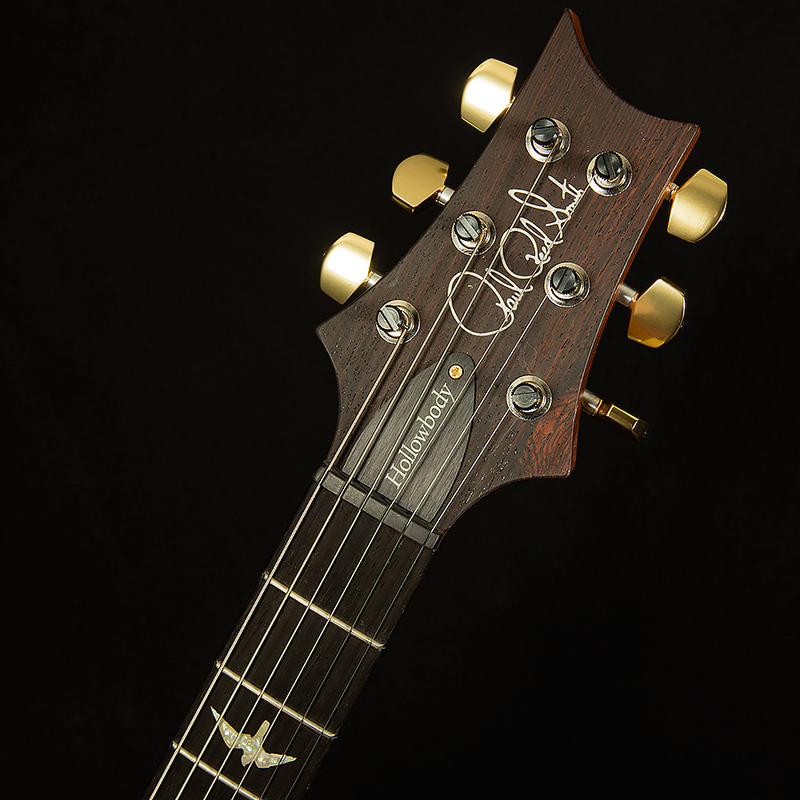 Weighing in at 5.60 pounds, this boss hollowbody boasts the sort of looks that will make people break their necks to get a closer look when you take it out of the case, and it sounds stunning, too! 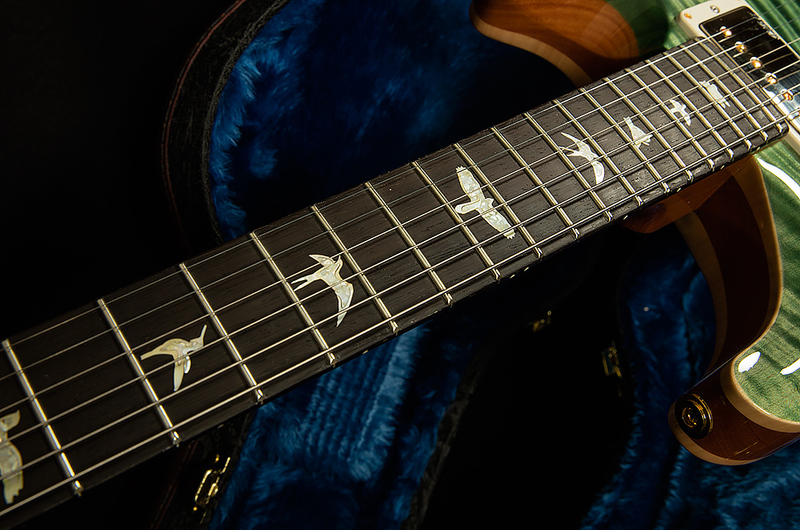 The set of 58/15 humbuckers provide you with plenty of classic PRS tone, while the piezo pickup in the bridge allows you to tap into some excellent acoustic timbres. 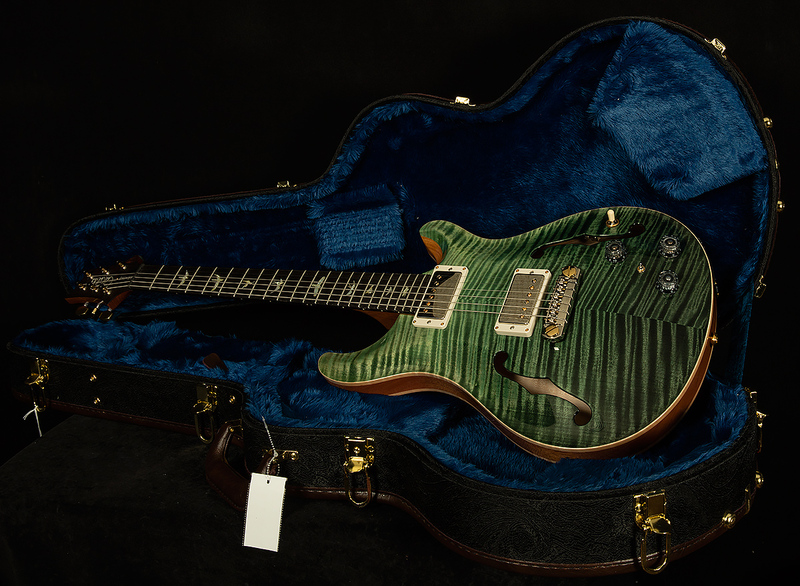 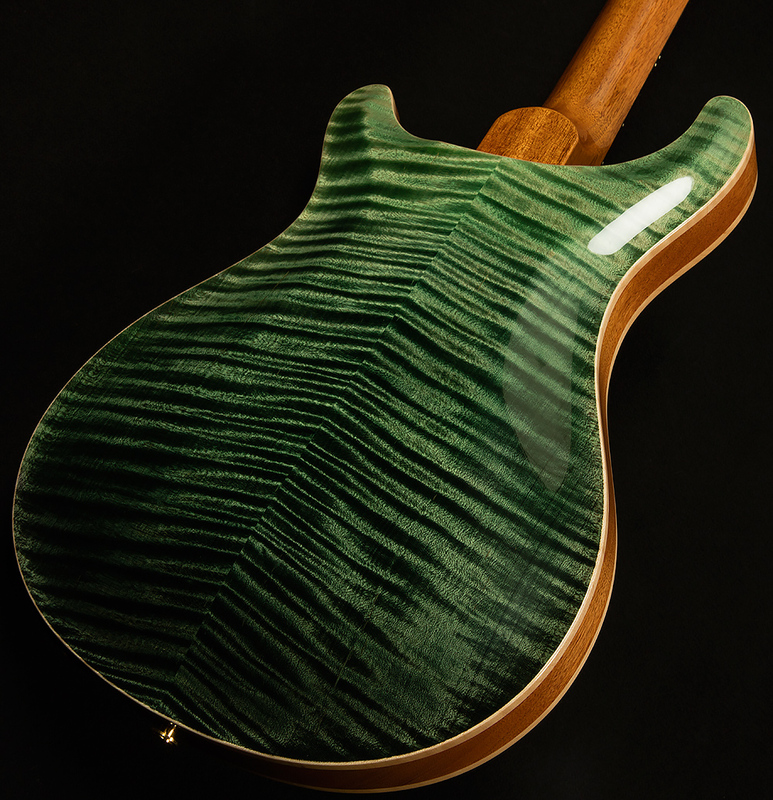 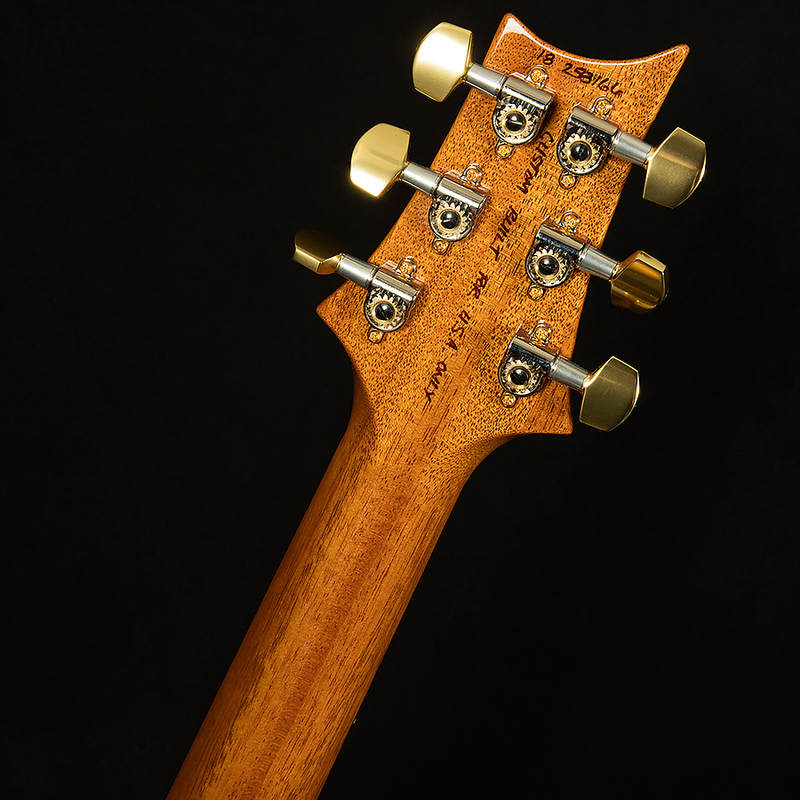 And check out the flamed maple on the top and back--just make sure not to get any of the inevitable ensuing drool on your keyboard! 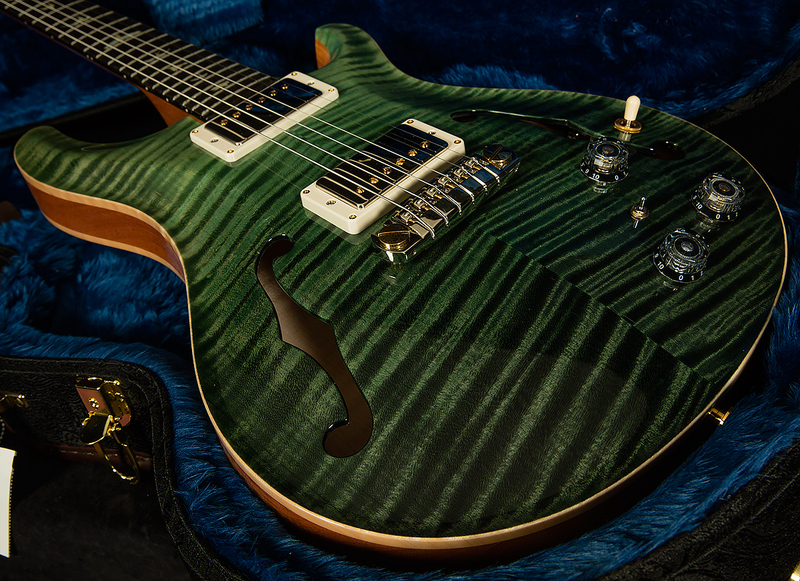 We are proud to showcase such a glorious instrument, and we know it will inspire you to no end.